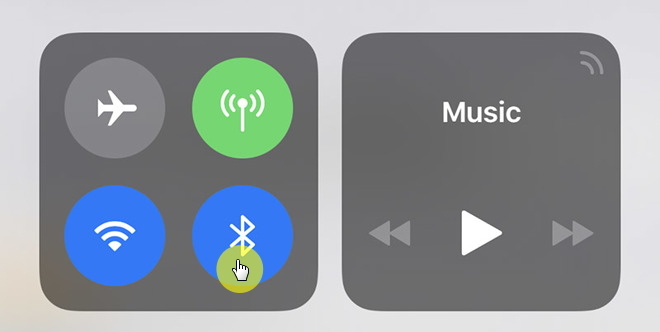 When using Bluetooth, you can wirelessly connect your iPhone to Bluetooth devices like your car audio system or headphones. There are times when iPhone cannot connect to Bluetooth for various reasons. In this article, we will provide you with a few troubleshooting tips to help you find the problem and fix it. There are basic things that you need to check first when you want to know if your Bluetooth is connected to your iPhone. First, check if your iPhone’s Bluetooth is turned on by swiping up from the bottom of your iPhone screen then opening the Control center. Click on the Bluetooth icon. Make sure it is blue meaning it is on but if it is grey it is off. Secondly, keep your Bluetooth device closest to your iPhone as the proximity and range of Bluetooth devices is around 30 feet for the devices to be able to connect properly. If the devices are beyond that range you will most likely have iPhone cannot connect to Bluetooth problems. When you find that your iPhone cannot connect to Bluetooth it could either be because there is something wrong with your iPhone or your Bluetooth device. It is important to know which device has a problem so that it can be fixed. You can take another Bluetooth device and try connecting to your devices to see which one successfully connects with your iPhone. 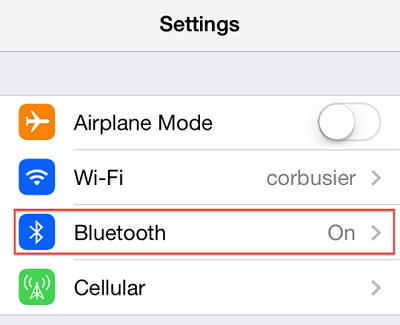 If your iPhone cannot connect to Bluetooth devices this means your iPhone has a problem, but if one of the Bluetooth devices connects to your iPhone, this means one of the Bluetooth devices has a problem. 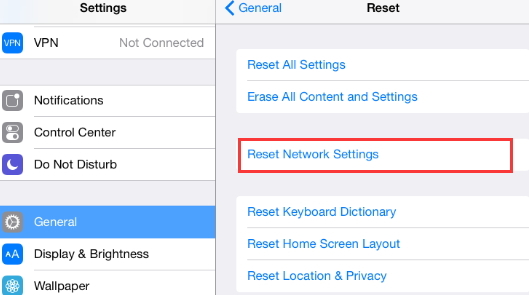 By turning your Bluetooth off and on again you can fix some minor software glitches that may prevent your iPhone and Bluetooth devices from connecting properly. There are three ways of doing this. Going to the Settings app and turning Bluetooth off. Go to your iPhone and open Settings. Click on the Bluetooth icon. Turn off the Bluetooth switch. It will turn grey when off. Click on the Bluetooth switch again to turn it on. It will turn green. Go to the Control center and turn Bluetooth off. To open the Control center swipe up from the bottom of your iPhone screen. Click on the Bluetooth icon and turn it off. The icon will turn black inside a grey circle. Click again on the Bluetooth icon and turn it on. The icon will be white inside a blue circle. Using Siri turn Bluetooth off. Press and hold the Home button to turn on Siri on your iPhone or say, “Hey Siri”. Turn off Bluetooth by saying, “Turn off Bluetooth”. Turn on Bluetooth again by saying, “Turn on Bluetooth”. After you have turned Bluetooth off and on again, try pairing your iPhone and Bluetooth device to find out if the problem has been fixed. To open the Control center on your iPhone swipe up from the bottom of your device. Click on the Bluetooth icon to turn it off. If you are using iPhone 7 and newer, press and hold the Sleep/Wake and Volume down buttons simultaneously. On iPhone 6s and older, press and hold the Sleep/Wake and Home buttons simultaneously. Keep holding till you see the Apple logo appear then release the buttons. Wait for your iPhone to reboot. Access the Control center by swiping up from your iPhone’s screen. Click on the Bluetooth icon to turn it back on. Then try connecting your iPhone and Bluetooth device. Click on the (i) symbol next to the Bluetooth device you want to forget. Click on Forget this device then click on it again when prompted. The forgotten device will not appear in My device Settings or in Bluetooth. Put the Bluetooth device on pairing mode to reconnect it with your iPhone. This is a way of fixing more complicated software problems by erasing all data settings from Wi-Fi and VPN, Bluetooth devices and iPhone so that your iPhone and Bluetooth device can connect from clean settings. Make sure you can remember all your Wi-Fi passwords before resetting the network settings as you will use them later. Open your iPhone Settings then click on the General tab. Scroll down and click on the Reset button. If prompted enter the passcode. After the reset is done your iPhone will restart itself. Try pairing your Bluetooth device with your iPhone again. 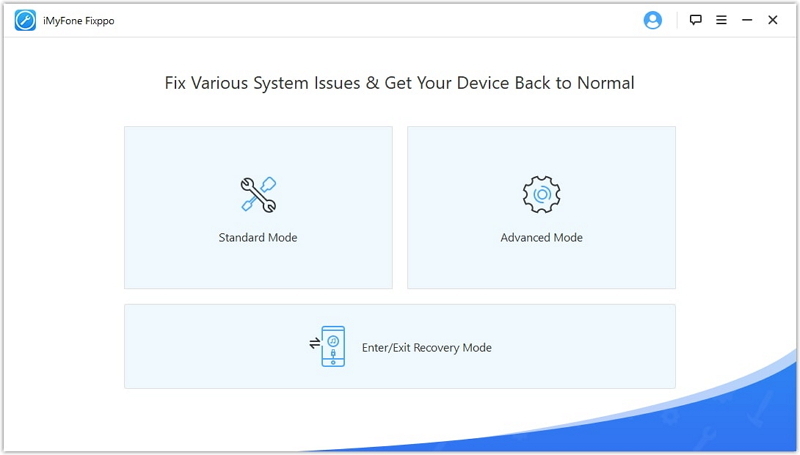 iMyFone iOS System Recovery is a repair tool for all iOS devices and its versions that helps you to return your iPhone back to its original state by using its Standard, Exit recovery and Advanced modes to fix serious and not so serious issues. The program will protect your iPhone data during the fix process, which means that all the data on your iPhone will not be erased. Any serious or minor problems on iPhone can be mended with this program. Including iPhone got stuck on DFU or Recovery mode, rebooting issues, cannot upgrade to iOS 12, freezing problem , etc. It is safe and secure to use. Any data on the device will not be disclosed. 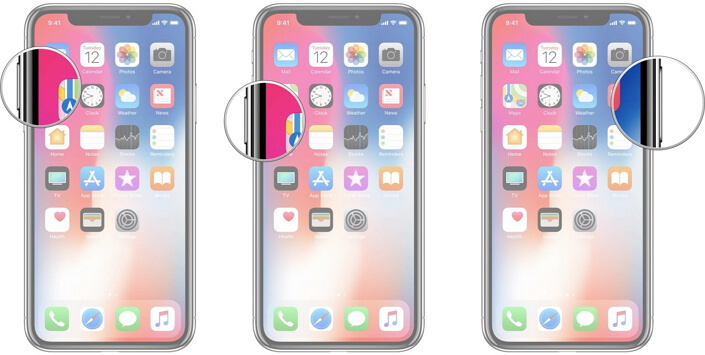 If you have tried every available method of fixing iPhone cannot connect to Bluetooth and nothing seems to be working, then it is best to visit the nearest Apple store to find out if your devices have a hardware problem. 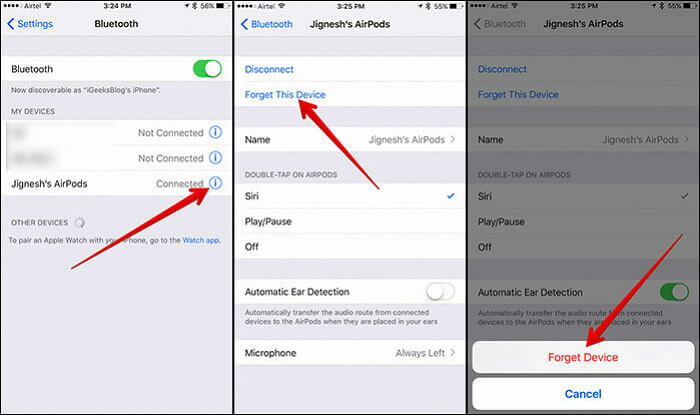 If you are trying to listen to some music on your headphones but your iPhone cannot connect to Bluetooth, then you need to troubleshoot to find out the problem. By trying some of the methods above you can fix the problem and continue enjoying your music.